Made in Korea the unique CarPro BOA Microfibre towel features a circular knitted raised cloth. This creates the appearance, feel, and functionality of an Ultra Plush 600gsm cloth without the lint issues. It is in fact a 500gsm (gram square metre). You will love the quality and feel of these towels. 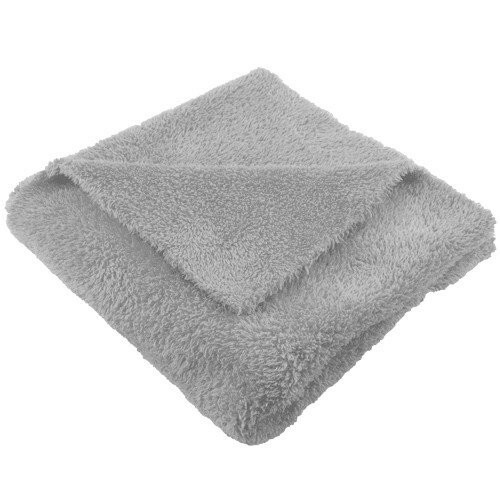 This is an ultra-soft microfibre towel that other stores are attempting to duplicate but none have managed to match. With no borders of any kind there is no longer fear of scratching soft paint. When caring for microfibre towels there are a few simple rules to live by. Microfibre towels should only be washed with other microfibre towels. If you wash with other types of fabrics like cotton etc. the microfibre will retain lint from those fabrics. Wash with a non-bio detergent, or a specific wash products such as Micro Restore which contains everything you want and nothing you do not. NEVER use fabric softeners or dryer sheets. When drying either hang dry or dry on a very low heat cycle and never leave them in the dryer long enough to heat up. A dry microfibre that is heated to a certain point melts and becomes a danger to paint. Rinsing your new towels in the washer is always a good habit but also be aware that some colours may bleed onto others if you mix colours during that first wash cycle. After use microfibre should be stored, washed, and kept separate according to their task. In other words you would never use a wheel towel and then mix it with your paint towel. Mixing wax and sealant towels with glass and drying towels are a good way to remove absorbency from or cause streaking with your drying towels. Interior or door shut towels will collect sand and particles you would never want in your paint buffing towels so keep those separate as well.